Blois, a royal city whose château, perched majestically above the Loire, is the home of 7 kings and 10 queens of France, and a splendid mix of medieval, Renaissance and 17th century architecture. The château has been fully restored over the years: no mean feat if you consider it has 564 rooms and 75 staircases! The legend of Blois reads like a thriller, as you’ll see from the château’s famous ‘Sound and Light’ show, held every evening from April to Sept. This year’s new show uses the latest immersive technologies to recount the spine-tingling tales of Marie de Medicis and the Duke of Guise and plunge you into the heart of the dramas and intrigues that shaped the history of France. 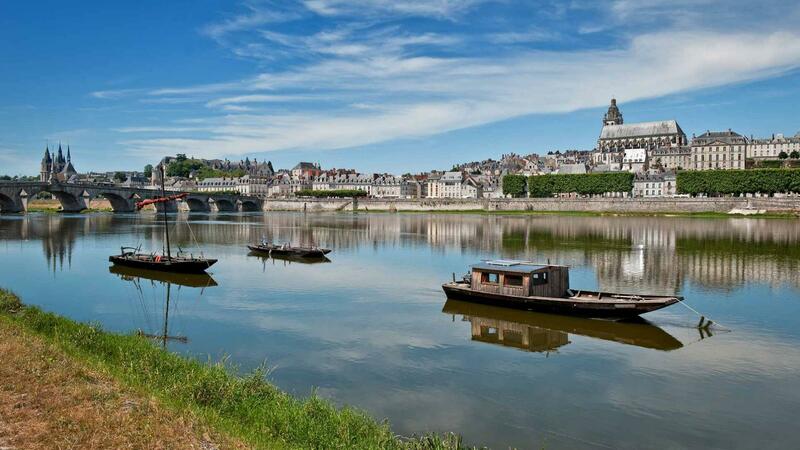 The city of Blois, with its meandering streets and hidden back ways, is a fascinating place to visit. Take a tour with Sylvain Ruiz of ‘Visites et Secrets’ who will open the locked doors of the city for you. And history buffs can explore the historic centre with a Ministry for Culture-accredited guide. Here’s a cool idea: tour the city on an off-road 2-wheel electric vehicle, or Segway. Offered by Gyroway, a young Loire Valley company, it’s a modern, ecological and fun way of getting around town. Don’t worry; your guides will make sure you get training on how to use it before you head off! Take a quick break from ‘city’ life to visit the charming medieval village of Montrichard on the banks of the Cher River, 30 km south of Blois and only 8 km from the Château de Chenonceau. Take a tour with T.E.A.M., a group of volunteers who love their city and you’ll see why! They’ll guide you through the cobbled streets, past its pastel half-timbered houses, lovely church and up to monumental dungeon and museum with a spectacular view of the surrounding countryside. The Cher Valley region is known for its miles of underground galleries – former quarries for the white chalky stone used to build châteaux. Many have now been converted into modern, comfortable B&Bs for visitors intrigued by the idea a spending a night in a ‘cave’. Others have found another calling. The Cave Champignonnière des Roches, in the neighbouring village of Bourré, is an underground mushroom farm that produces 100 tons of high-quality mushrooms a year, destined for the world’s finest restaurants. Tour the impressive troglodyte galleries and underworld wine cellars with Stef, also known as the ‘cave man’, at Troglo Degusto, nearby, for a quirky blend of history and wine. Don’t miss a visit to the Monmousseau winery, one of Montrichard’s star attractions. Its maze of underground cellars serves to store several million bottles of sparkling wine and as the stage for an amazing show of lights, music and off-beat artwork.